The Economic and Financial Crimes Commission has detained the Managing Director, Macmillan Nigeria, Prof. Adesanya Adelekan, over an alleged N20bn fraud. It was learnt that Adelekan, who is a contractor for the Universal basic Education Commission, was arrested on Thursday as part of the investigation of the alleged N20bn fraud in UBEC, involving the supply of science and technical equipment and textbooks to 104 unity colleges. EFCC sources said Adelekan had earlier written statements during which he promised to supply evidence of the execution of the contracts against claims by principals of the unity schools that they only received between 20 and 30 per cent of the equipment and textbooks purportedly supplied to them and for which the contractor collected full payment. The source said, “After he made statements, all the efforts to get Adelekan to produce the evidence of performance failed as he kept making promises that he never fulfilled. The principals had all made statements and they claimed they didn’t receive all the equipment and books listed against their schools. 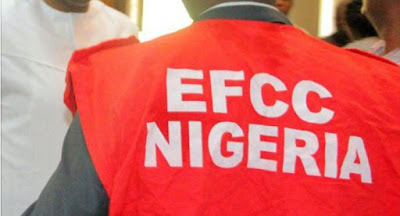 Apart from the principals of the unity schools, the EFCC is also said to have questioned a former Executive Secretary and directors of UBEC for their alleged role in the fraud.